Just picked up an 880L HW A1 to replace an ASUS RT-N66U that fried itself. Long story short, after some initial slowness the router had been performing exceptionally well. I noticed this evening my speeds were under 1MB ( normally I get 50-65 ). Tried both wired and wireless connections. Rebooted router and cable modem. Problem resolved. After performing the factory reset and rebuilding my config from scratch, everything seems ok. Was this due to some differences in 1.05 and 1.02? Basically I guess I tried to apply settings that were created and stored in 1.02, and something in 1.05 did not like that very much. Should that be the end of it? 2nd question. The slowdown I referred to earlier. I've had really bad luck in the past with Netgear and Linksys stuff where I was having to power cycle the equipment frequently to keep speeds where they should be. Is this something I can expect with the 880L also? Devices connected to router - iPhone 6s, iPhone 6, PS4, HP Printer, 3 laptops with a mix of Intel and Broadcom NIC, 3 iPads. Cisco RE1000 extender via DHCP. Bad cable between my router and cable modem. Seen that before. Glad you got it working. CAT6 is recommended. Same thing just happened again. Same thing in the GUI as in my fist post. Reboot of the router fixed it, but I really should not have to do this. At the very least, I should be able to schedule a reboot nightly as preventative maintenance. You maybe experiencing something between the ISP modem and router. 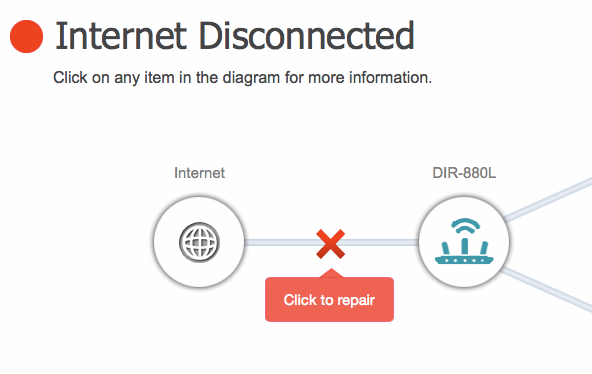 I haven't seen this issue with my router however I don't have your modem ISP modem. Mines a SB 6121. You might factory reset, re-load v1.02, factory reset then set up from scratch?